One of the most popular and widely accepted schemes of the Modi government is the Sukanya Samriddhi Yojana. It is a special girl child prosperity scheme that has been launched under the Beti Bachao Beti Beti campaign. The Sukanya Samriddhi Yojana is a scheme that wants to help in the upliftment of the girl child and provide them equality in the society. The Sukanya Samriddhi Yojana provides a small savings account, the money of which can be used by the girl for her higher education or marriage. The scheme has been designed in a way that at least some of money can be save for the girl of every Indian family, so that the parents an let go of some worries relating to a girl child. From the time of its launch the scheme has been accepted very well among the parents of the girl children. 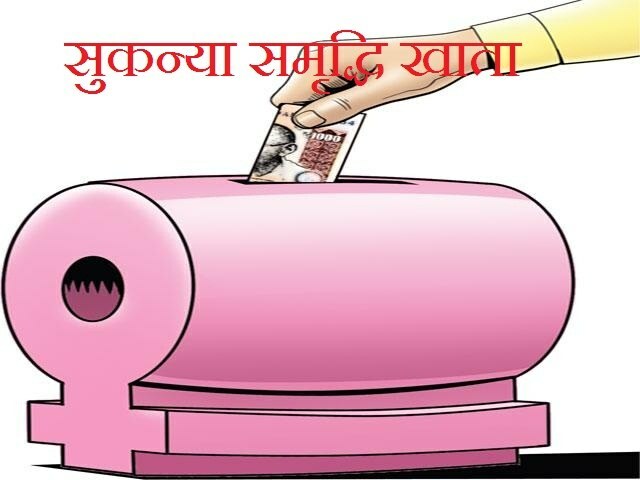 The best part about the scheme, which is being praised by many, is the fact that the money saved in the Sukanya Samriddhi account can be withdrawn only by the girl child and not even by the parent or the guardian who is the depositor. So the scheme tries it best to ensure that the money saved in the account is used only by the girl and for the girl and not for anyone else. It is a known fact that in India gender inequality is a big problem which further leads to bigger issues and concerns. It is one of the main issue that is stopping the growth and development of the society. There are many parents in the society, especially in the lower section of the society, who feel that girl child is a burden and is of no use at all. They feel that a girl child only brings in expense and then go away to another house after marriage. So to avoid all this, parents do not prefer a girl child. In many families girls are not educated as it is not considered important, they rather focus on a male child and his education. So to change this thinking of people and encouraging them to happily have a girl child, the government of India has launched the Sukanya Samriddhi Yojana. This scheme will try and reduce the responsibility of the parents, which is considered as burden, and provide girls and opportunity to live a better life and get education. The scheme aims on providing financial security and independence to the girls and help them with their education and marriage. The literacy rate among the women in rural areas is lower when compared to urban areas, so one of the major focus is also to reach the rural areas and promote girl child education. For this scheme the chosen medium are the banks and post office. Now public sector bank and post office have great reach and penetration in the society, including rural areas. So this is the best medium possible in order to reach maximum people in the country. The use of this network can prove to be very effective in reaching all the economic and geographic sections of the society. One of the major benefits of availing this scheme is that the scheme gives a great interest rate of 8.6% per annum. This interest rate is more than that of any interest rate provided by most schemes in the market. It has been said that every year the interest rate would be revised. During the time of launch, the scheme was launched with an interest rate of 8.6% which was then revised to 9.2% and currently it is 8.6%. The Sukanya Samriddhi account is free from any income tax, under section 80C of Income Tax Act, 1961. The account can be opened by the parent or guardian of the girl child and they can operate the account until the girl reaches the age of 18. The account now allows full withdrawal of the money after the girl child attains the age of 18, and that too for marriage or higher education. The account matures after a period of 21 years, which means from the time of opening the account till 21 years after that. The account can be opened for any girl child until she reaches the age of 10 years. But for opening the account, the birth certificate of the girl is a compulsory document. Under this scheme, deposits have to be made to the account for 15 years, from the date of opening the account. And even after that the account will receive its benefits until the time of maturity which is 21 years. The scheme allows a maximum deposit of Rs.150000. The account under this scheme can also be transferred from one authorized bank to the other bank or post office. It is a transferable deposit scheme. The scheme allows only one account in the name of a particular girl child. More than one account is not allowed. The account can be close only after the girl reached the age of 21, and incase the account is not closed and the money is not withdrawn from the account after maturity,interest will not be given to the account. The account can be opened by the parents or guardians of a girl child only, and that too on behalf of the girl child. The account should be opened only in the name of the girl child. The account has to be opened before the girl child reaches the age of 10 years, and not after that. Apart from this, a girl born between 2nd February 2003 and 1st December 2004 will also be considered eligible for this this scheme. Here is a list of documents that the guardians or parents of a girl child require in order to open an account under this scheme. These are mandatory and has to be submitted to the bank or along with the application form of the scheme. Birth Certificate of the girl child who is the beneficiary. Address proof of the depositor which would be in the form of one of the following- ration card, electricity bill, passport, driving license, or telephone bill. How to open an account under this scheme? The medium chosen for operating this scheme are post office and public sector banks of the country which basically have a great reach in both rural and urban areas. In rural areas is seen that the problem of inequality more, and so it is very essential to reach the rural area well. Now post office is one of the best channel to reach the rural areas. So for opening a Sukanya Samriddhi account one can easily approach any post office or authorized banks that is close to you. The scheme is available in all the post offices of the country. The scheme can be opened in any public or authorized private sector banks as well. For applying for the scheme, the applicant needs to fill an application form that is available in any of the public banks, authorized private banks and all post offices. After filling the form has to submitted to the office where you wish to open the account, along with all the about mentioned documents. After the submission the bank or the post office will carry on the verification process and then approve your application. Approval of the application means that the account for your girl child is open now, and you being a parent or a guardian can operate the account and deposit money in the account. Sukanya Samriddhi account application form is available on the website of all the authorized banks and on the websites of post offices as well. One can easily download the form and take a print of it in order to fill it. Apart from online form, the authorized banks and post offices will have the application form of the scheme. In the form you have to fill in details such as name, age, relation with the girl child, address, identity and a few other details. so the applicants have an option of downloading the form online and then submitting it in the bank or post office, or they can visit the bank or post office, collect the form, fill it an then submitted it there itself. The Sukanya Samriddhi Account will receive the same benefits regardless of the fact that whether it is opened in a bank or post office. So parents and guardians need not worry about about choosing one of the either offices. In case it is convenient for you to have an account in a post office then you can just go to your nearest post office and collect an application form of this scheme. It is the same for banks. You should fill the form and submit it along with the required documents. You should also know that the same documents will be required whether you open an account in a post office or bank. When you open an account the initial amount to be deposited is Rs.1000 and then the installments could be anything between Rs.100 to any amount above that. There is no limit to the depositing amount. You will be given a passbook, like you are given for your other bank accounts, which will help you track your transactions. The scheme will be opened in the name of the girl child and withdrawal will be allowed only by the girl after she turns 18. The sign of the guardian or parent is compulsory for opening an account under this scheme. Mentioned below are the names of all the private and public sector banks that has been authorized by the Finance Ministry, and they are eligible to operate and maintain the Sukanya Samriddhi accounts. As of now the online opening of Sukanya Samriddhi accounts is not available. The people who want to open an account under this scheme have to visit a bank or a post office. Though the application form for the scheme is surely available online, on the websites of post offices and authorized banks. Apart from this the transfer of amount also cannot be done online for this account. All this has to be by visiting the bank directly. Currently the rate of interest given in this scheme is 8.6% per annum for the year 2016- 2017. Previously the rate of interest for the year 2015-16 was 9.2% per annum. It has been said that each financial year the rate of interest on this account will be revised. It has been announced that every 10th day of the month, interest will be calculated. The main aim of the scheme to help the parents of the girl children and provide them financial support in educating the girl child and for her marriage. So this account has been given tax benefit which mean that the account holder need not pay tax for this account. The scheme provide tax benefits to the parents and the legal guardians of girl children so that they find no reason to not avail this scheme. With such a benefits the parents will feel encouraged to open this account for their daughter and thus provide financial support to the girls. But even here there is a condition, for deposits over the amount of Rs.150000 in a year, there is be no tax rebate given. The tax benefit is applicable for deposits below this amount only. Depositor The Depositor is the parent or legal guardian who opens the account and makes money deposits to the account on behalf of the girl child. It has been revised that the girl child can also make deposits. Guardian Guardian is referred to a mother, father or a legally entitled parent of the girl child, under whose care the girl child is growing. One for One Only one Sukanya Samriddhi account is allowed for one girl child. And it is only for girl child, not male child. For third child A couple can open an account only for two daughter, not more than that. In case of twins in the first or second case, the scheme will be extended to another girl. The account under this scheme can be closed before maturity in a case where the girl child account holder has died. Only in such a case the account will be closed and the proceedings of it will be given to the parents or guardian of the girl child. A proper death certificate has to be given to the bank or post office to in order to close the account. Another situation where the account can be closed is when the government is assured that the parents is just not able to carry forward the account or incase the girl child or her parent is extremely ill and needs the money in the account. Initially the complete withdrawal of the money from the account could be done by the girl after she reaches the age of 21. But then now the rules have been revised and girls can withdraw the complete amount after she turns 18 years. Instead of full amount she can take out a partial amount of up to 50% after the age of 18. Also the partial withdrawal is allowed only for treating medical health condition of the girl, higher education or marriage. The amount from the account is allowed only if the account has been active for at least 15 years. And it has been stated that no partial or complete withdrawal will be allowed by a girl below the age of 18. The account can be closed by the girl child after she reaches the age of 21 and not before that. There are certain exception cases, stated above, under which the account can be closed in a premature state. Any money to be withdrawn from the account has to be done by the girl, on whose name the account exists. This has been made compulsory so as to ensure that only the girl uses the amount collected and saved in the account. Apart from this, since the amount can be withdrawn after the age of 18 or 21 years, the girl will not be under any other influence and will know how to use the money for her security, marriage or studies. Cases of transfer and re-location is very common these days with the kind of jobs that parents do, and the way the employment structure is becoming. But because of internet banking facilities we do not really have to care about our bank accounts. In case of Sukanya Samriddhi account online deposit facilities and transaction is not applicable and any deposit has to be made by visiting the bank. So in case of transfers or re-location one has to transfer their girl child’s Sukanya Samriddhi account from the existing bank or post office to the new bank or post office. Keeping this in mind the government has designed the account in a way that it can be easily transferred from authorized bank or post office to another. The transfer of this account can be made from a bank to another bank, bank to post office or post office to bank which is located in any part of India. The transfer can be made from one branch of a particular bank to another branch of the same bank as well. But in the recent revision made on this scheme, a fee of Rs.100 would be required for a transfer from post office to bank. The Government allows the transfer of the Sukanya Samriddhi account from one location to another by filling of a transfer form of the scheme. The Finance Ministry has made the process simple so that parents or guardians do not find any difficulty in transferring their daughters account. Here are the steps that has to be followed in order to transfer the Sukanya Samriddhi account from one bank or post office to another. Step 1 – Go to the post office or bank where your Sukanya Samriddhi account exists. You need not take your girl child for the procedure. Carry your Sukanya Samriddhi account passbook along with you. Step 3 – Tell the person in the counter that you need to close the account here and wish to transfer it to some other bank or post office. Step 4 – You will be given a form, which you have to fill and give it to the person at the counter. After this the bank or the post office will process the transfer and will give you a letter of transfer. Step 5 – With the documents that you received from the previous bank or office go to the bank or post office where you have transferred the account. Submit the documents there. Step 6 – The new bank or post office will verify your details and then issue you a new passbook with the balance details of your previous account. And with this your child’s Sukanya Samriddhi account is successfully transferred. During transfers it is best that you carry your KYC documents. It will decrease you repeated visit to the banks and post office for the purpose of transfer. After the scheme was launched many people opened the account of this scheme in the post offices, as they were the ones to open the scheme first to the public. But eventually the banks also started to roll out the scheme. Seeing this people wanted to transfer their accounts to the banks which provided easier and faster deposits. Seeing this the whole transferring of the account was planned. These days online calculator are very common for any financial products. So an online calculator has also been launched for the Sukanya Samriddhi account. But then it is not a official calculator by the Finance Ministry, it is tool that is available online to help the parents or guardians to calculate the returns that their child would get from the account. There are many websites and links available online that act as online calculator for the account and provide a excel sheet where you need to put in the details such as amount of money that wish to deposit, frequency of deposit, etc. Once you have entered the data required, the excel sheet will calculate the amount and provide you with an estimated amount that you will get a return to you get on your investment. These days such tools are very famous and help people in making wise and knowledgeable decision in making investments on different accounts. In case of accounts such as Sukanya Samriddhi account, where the return or maturity amount depends on the depositor, such tools can be extremely important. The frequency of deposit and the deposit amount is the most important factors in this account, so it is essential to calculate the returns and then plan your deposit. This will give you maximum returns. One thing that you have to keep in mind is that, the Finance Ministry changes the rate of interest of this account every year. So you have to manually change the rate of interest in the online calculator. This particular scheme is all set to attract many parents and guardians of girl children with a higher interest rate when compared to other child related schemes. The amount is made available only to the girl and no one else, so that only she can use it. Since the scheme is freed from tax, it takes away the biggest tension of the depositor relating to tax deduction. It comes as a relief for parents and the child as well. The responsibility of withdrawal and operation of the account is given to the girl only after the age of 18, when she is mature enough to understand it. There is no middle man required for opening or operating this account. The scheme offers an agent-free environment where the parent or guardian can directly go to a bank or post office to open an account under this scheme. The scheme does not insist on the fixed number of deposits in a year. It only states a minimum amount of Rs.1000 to be deposited in a year at least. This takes of the burden of compulsory deposit. And it also sets a maximum amount that can be deposited to the account in a year. The interested that is given to the account keeps continuing even after 15 years of the account, till 21 years of it. The account will be free of tax in all the stages including deposit, growth ad withdrawal. People from all the economic section of the society can avail this account as the scheme does not set in compulsion in the number of deposit in a year or the amount to be deposited. It can be done by the depositor, keeping in mind his or her convenience. The biggest drawback of the scheme is that the parents or guardians can avail this scheme for only two daughters. They cannot open a similar account for their third daughter. This account does not allow the option of taking loan against the deposited amount, which many other financial schemes offer. The maturity period and the lock-in period of the amount in the account is too long which may be a concern. The scheme tenure is of 15 years and so the money cannot be used for current education, not is the money sufficient to cover all educational expenses. Many are of the view that the scheme is best when it is availed with other financial products. Now the government has said that the rate of interest will be revised every year. So if the rate of interest increases then fine. But if the rate of interest is decreased in the future, it will come a problem for the depositor and also the girl child. The chance of second is very much possible as now the government is trying to promote the scheme, thus higher interest rate. Public Provident Fund scheme and the Sukanya Samriddhi scheme are scheme operated by the government and offer small savings accounts. Even though they are launched with different objective and target audience, still it is natural that both are compared for this features and benefits. The two scheme share a few basic similarities and are also different in certain aspects. As mentioned the objective of these two government schemes are completely different. The Sukanya Samriddhi yojana is to provide financial support to the girl children and promote their welfare. Whereas the other one is a long term investment scheme that will act as financial support after retirement of a person. The similarity between the two schemes is that the account of both these scheme can be opened in any of the authorized banks or post offices. There are many banks that are running both these government scheme. This is because banks have a great reach, and government wants to promote both the scheme in the country. Now coming to another different, the basic amount to be deposited in a year for the PPF account is Rs.100. whereas for the Sukanya Samriddhi account the amount is Rs.1000 in a year. Another major difference of the two schemes is that the amount that is saved in the Sukanya Samriddhi account provides a purpose for the account holder. But in case of the PPF account money, it can be used by the account holder for any of his or her needs like vacation, buying property, building house, using for child’s marriage, etc. Both these schemes offer tax benefits and the interest calculation methods for the two scheme is the same, as state by the Finance Ministry. Q1. Who can open a Sukanya Samriddhi account? A parent or a legal guardian who has a girl child within the age of 10 year can open an account for their daughter. Q2. Is the Sukanya Samriddhi account complete free of tax? Well the account is free of income tax. But then if the deposit amount exceeds Rs.150000 in a year, then tax will be deducted from the account. Q3. Is there any relaxation in the age limit of the girl child for whom the account will be opened? The government currently wants maximum parents of the country to avail this scheme and so it is giving some relaxation in the age limit. The girl who has turned 10 years in the year 2014 can also apply for the account. So basically any girl born between 2nd December 2003 and 1st December 2004 will be applicable for this account. Q4. For who is the Sukanya Samriddhi scheme available? The Sukanya Samriddhi scheme is available for the parents or the legal guardians of girl children only. The account can be opened in the name of their daughter only. Q5. How many account can a parent hold on behalf of a daughter? For one daughter the parent or the legal guardian can open and operate only one account. More than one is not allowed. For parents who have two daughter, you can have two separate Sukanya account in their respective names. Q6. As a parent or guardian where can I open the account? You can open an account under this scheme in any of the nearing post office or authorized banks. Many of the top and known public and private banks are running this scheme currently. Q7. Can any Non-Resident of India open this account for their daughter? Currently this scheme is not available for the NRI. Only the residents of the country can avail this scheme and open a Sukanya Samriddhi account. Q8. Is there an option of converting an existing bank account to a Sukanya Samriddhi account? Currently there is not such option available. You have to open an exclusive account under this scheme in the name of the girl child. There is not conversion of account allowed in this case. Q9. In which parts of India is the scheme available? The Sukanya Samriddhi scheme is a scheme that has been launched by the central government and it is available in all the parts of the country. Q10. Is there an option of transferring the account from one location to another? Sukanya Samriddhi account is a transferable account. You can transfer the account from a bank to another bank, from a post office to a bank, from a bank to a post office, and from one branch to another. So in case of re-location of the family the account can be transferred as well. but a fee would be required for it. Q11. In case the account holder (girl child) dies unexpectedly, then what happens to the account? If the beneficiary of the account dies then the account will be closed, after death certificate is produced to the bank or post office. There after the proceeds are given to the parent of the child. Q12. I am a parent of a girl, and I have a PPF account, so can I open a Sukanya Samriddhi account for my daughter as well? You can surely avail both scheme simultaneously as both of them have different objective. The PPF scheme will help you after you retirement whereas the Sukanya Samriddhi amount will provide financial support you your daughter of her studies and marriage. Q13. In case the depositor of the account dies, then what happens to the account? The depositor of the account is the parent or the guardian of the girl child. In case they die then the account will be closed and the proceedings will be given to the girl child. Or another option is given where the account is carried with the deposited amount till the time of maturity. The account will keep getting interest. Q14. In case the depositor fails to deposit money, then what happens? In a year if the account is deposited with an amount of Rs.1000, then the account becomes deactivated. If the depositors wants then he or she can revive the account with a penalty fee of Rs.50. but the scheme has kept the minimum deposit very less so that people are able to maintain this account. Q15. Can the amount in the account be withdrawn before maturity? No this is not allowed. The full amount can now be withdrawn after the girl reaches the age of 18. Initially the full amount could be after the girl reached the age of 21 years. A partial amount can also be withdrawn after the age of 18 of the girl for her education expense or marriage expense. Q16. Does the account have a fixed rate of interest? No the account does not have a fixed interest rate. The rate of interest keeps changing every year. Currently the rate of interest given for this account is 8.6%. Q17. Are private sector banks also running this scheme? Yes the names of the banks that are running this scheme is mention above, the list also includes a few private banks. Hey have been authorized by the Finance Ministry. Q.18 Is there any particular difference between the Sukanya Samriddhi scheme run in private banks and public banks? The scheme is same in all the banks and post offices, the benefits and procedures in private and public banks are the same. There will be no change from bank to bank or place to place. Q20.Tax deduction under for the deposit amount under the scheme can be claimed by both the parents or by anyone? The tax benefit under this scheme can be claimed only by either of the parents and no both. Q21.What is the minimum and the maximum amount that have to be deposited to this account? The minimum amount to be deposited in a year is Rs.1000 and the maximum amount that can be deposited in a year is Rs.150000. Q22. Is there any last date or any closing dates of the application form or scheme? There is no such concern with this scheme. The scheme is open for application all the time. You as a parent or a guardian can apply for the scheme after your daughter is born, till the time she reached the age of 10. Q23. What happen if the girl or the account holder does not want to close the account after she has reached the age of 21 and the account has matured as well? If the girl wants then she can choose not to close her account after the amount has matured. The girl can opt for a term of extended deposit. But then no interest will be earned on the account. Initially interest was earned even after maturity of the account. Q24. Does the account have a specific deposit term? This account offers a deposit term of 15 years from the time that the account has been opened. The maturity of the account happens when the child reaches the age of 21. From the time of its launch, till now many account have been opened under this scheme. Many parents and guardians have understood the importance and the benefits offered under this account and have opened an account for their daughter. It is being said that since the scheme needs a minimum deposit of Rs.1000 in a year, it is easy for the parents who belong to the economically weaker sections to operate an account for their daughter. Every year the rules of scheme is being revised. Now, in the financial year of 2016-17 some helpful changes have been made to the scheme as well. Even though many parents have open this account for their daughter, there are many who are still unaware of it. Well with all these details you must have understood all the aspects of the Sukanya Samriddhi scheme. This scheme has been launched with a progressive goal and with an aim of helping and uplifting the status of the women in the society. Until this scheme the Indian market did not have any such girl specific scheme that could help the girls directly for their higher education and marriage. If nothing then with the help of the fund accumulated under this scheme the girls will not to leave their education due to lack of money. The money provides financial support to the girls and takes of the burden from the parents who consider their daughters to be a burden. The scheme surely has higher goals and wants to basically bring in gender equality, but it has a long way to go.